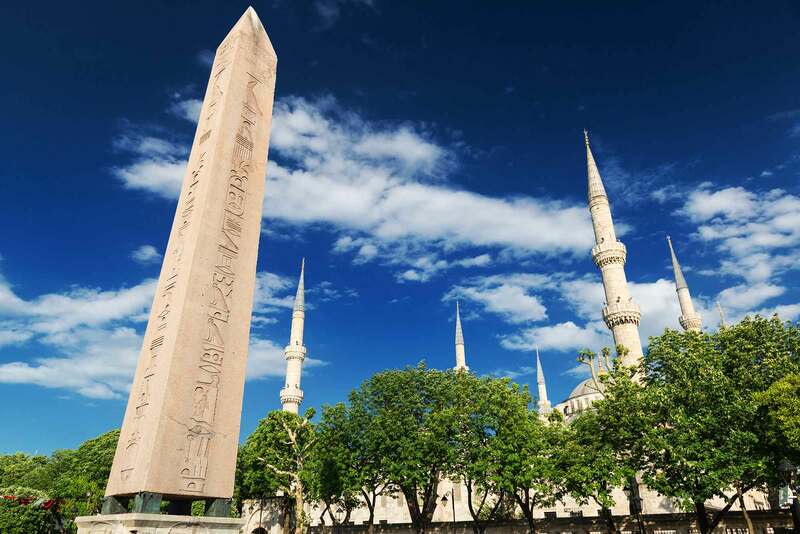 The Hippodrome is located on the eastern side of the Blue Mosque. The term hippodrome comes from two greek words: ἵππος (hippos) means horse and δρόμος (dromos) means way. The history of the hippodrome goes back to the 203 AD. The Roman emperor Septimus Severus built the first hippodrome in the city that predates Constantinople. In 324 AD when Constantine decided to move the capital of the Roman Empire from Rome to Constantinople he encountered a difficulty. In order to convince the senate and the legions to move to the new capital the city needed to have some sports activities and fun. Therefore he decided to expand the hippodrome. It was adequate to accommodate up to 100000 supporters. Theodosius the Great in the late 4th century decided to adorn the spina (center) of the hippodrome with some beautiful ancient monuments. One of them was the Egyptian obelisk. The obelisk was a part of the Karnak temple in Luxor and was built in 1490 BC. We know from the hieroglyph on the obelisk that it is actually the part of the whole obelisk and the other part is missing. The other monument that Theodosius the Great brought was the tripod of Platea. It is also called the Serpent Column. It is depicted as if three serpents rolled around each other and on the top, their heads are looking different ways. According to the records in the 5th century BC, the Persians tried to invade Greece, so the 31 city states stood against the mighty Persian army. After the victory, the city-states decided to build a gift to Apollo. They built the serpent column and placed it in the garden of the famous Delphi Temple. 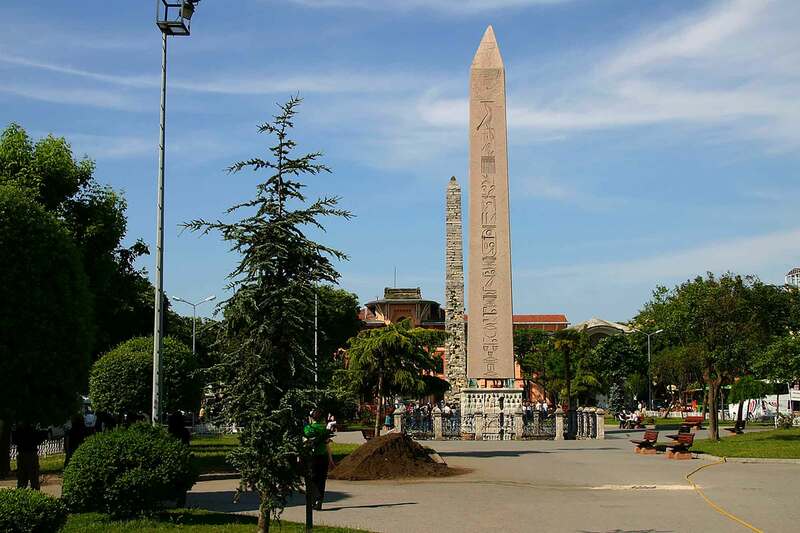 The last monument that is in the hippodrome is the Walled Obelisk. It was built in the 10th century by the emperor Constantine Porphyrogenitus. According to the records, we know that it was covered with bronze but the bronze was stolen by the crusaders during the 4th Crusade in 1204.